Ade Butler graduated from North High School, where he competed in both basketball and baseball. He witnessed his first midget race in 1937 at Merchants Park, and then began working on midget race cars in 1937 for owner/driver Burton Spickler. He served as a gunner and bombardier in World War II. Upon his return, he built his first midget in 1947. He continued to build cars for himself, as well as others, through the 1960s. Many of the top midget race car drivers of the late ‘40s and early ‘50s drove cars he built. Ade passed away in 2014. Alan Bockla was one of the best top fuel dragster owners and drivers to come from Colorado. In his teens, Bockla started drag racing a Chevy-powered 1940 Ford Coupe. By 1960, he was driving a Chevy-powered T-Roadster at local drag strips. Then, in 1962 he started driving top fuel dragsters. 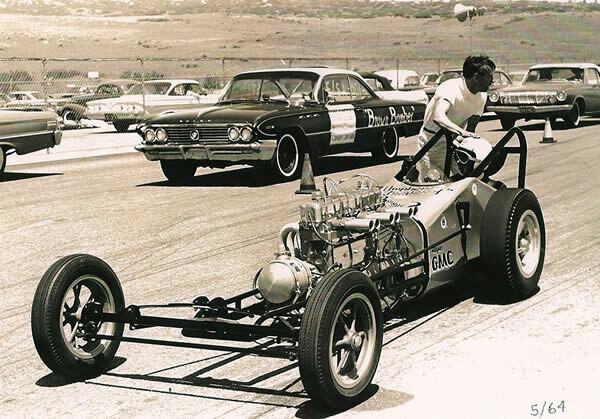 In 1963, he drove his own top fuel dragster in a number of match races at Continental Divide Raceways, including one match race against a jet-powered dragster. In 1964, set a speed record at Rocky Mountain Drag way of 200.44 miles per hour, and he became the first driver to run over 200 miles per hour in the state of Colorado. In 1967, he set a speed of 217.90 miles per hour, the second fastest speed ever turned at Continental Divide Raceway. All-in-all, he set six Colorado speed records, with nine top fuel eliminator titles and turned in 12 top times at drag racing events. Bockla retired after the 1970 drag racing season. A graduate of University of Colorado, Buzz Calkins started racing go-carts at age 15, winning the Colorado Junior Go-Cart Championship in 1987. He then ran Formula Fords in 1989 and 1990, when his father ran the same series and was the Midwest Division SCCA Formula Ford Champion in 1990. His next step in his auto-racing career was running Indy Lights and Barber Saab Series for three years. Then in 1996, as a driver, he teamed up with his father as car owner to run the Indy Racing League Series. There, he won the IRL’s inaugural event – The Walt Disney 200, beating Tony Stewart by one second, and was co-champion of the Indy Racing League’s first season. Calkins ran the Indianapolis 500 from 1996 through 2001, with a best finish of 10th in 1998. He retired from racing in 2001, after competing in the Indy Racing League for six seasons. Buzz currently lives in Denver with his wife and two daughters. Frank Peterson graduated from Alameda High School. While there he met a cheerleader by the name of Kaye, who would later become his wife, and from that point on, auto racing became a family affair. 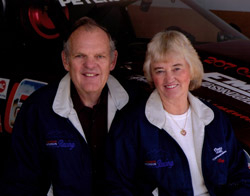 The couple first went to the Pikes Peak Hill Climb in 1955 and they have been to every race since that date. In 1956, they raced their Ford on local drag strips and in 1958 built their first sports car, which ran in Sports Car Club of America races at Lowry Field. From the ‘50’s on, they fielded cars that Frank drove on road courses, hill climbs and drag strips. Frank Sanborn won the 1965 Pikes Peak Hill Climb in a Peterson-prepared Plymouth Belvedere. By 1965, they began to team with Oldsmobile, building Toronados for the Hill Climb, driven by a number of successful drivers, including Louie Unser. In 1968, three of their prepared Oldsmobile Toronados were driven to the top three places at the Pikes Peak Hill Climb. In 1968, began to prepare cars for off-road racing. Their car, driven by Frank, won the 1970 Hill Climb. In 1988 and 1989, their two sons and Frank all drove the Pikes Peak Hill Climb, the only time that a father and two sons competed in the same race. A Colorado native, Joe Umphenour became involved with building straight-line Chevy engines in 1952, which led him to help form the Chevruns of Denver Car Club that same year. 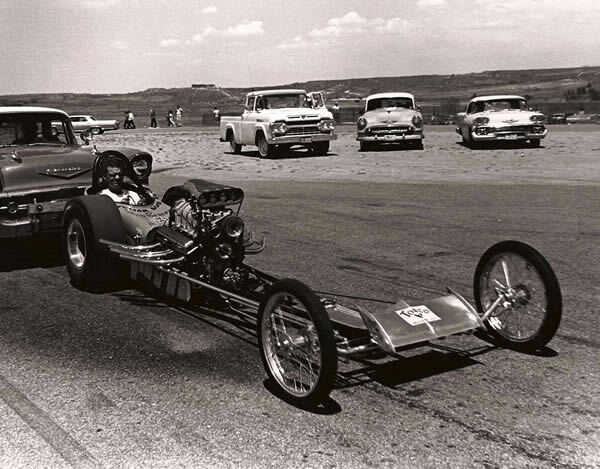 In 1961, Umphenour built and drove an in-line GMC-powered Chevy Coupe and then moved up to the dragster class. He tied a national speed record in 1967 with a top fuel dragster, retiring from drag racing in 1968. His purchase of a 1956 Chevy Nomad Wagon, led him to become a charter member of the Mile-High Nomad Club in 1968 and he is a member to this day. In 1970 he organized the National Nomad Club and was its president from 1972 until 1988. During this period of time he co-authored two automotive books and two videos. He was also a charter member of the In-Liners National Organization formed in 1981 and continues to write a column for their bi-monthly publication. Joe passed away in 2010. Larry Dechant began driving race cars in the late 1950’s. Over the years, he drove modified coupes, super modifieds, late models and figure eights. On several occasions he also drove in the Pikes Peak International Hill Climb. During his career, Dechant won at least eight track championships and was the first figure eight Champion at Englewood Speedway in 1964. 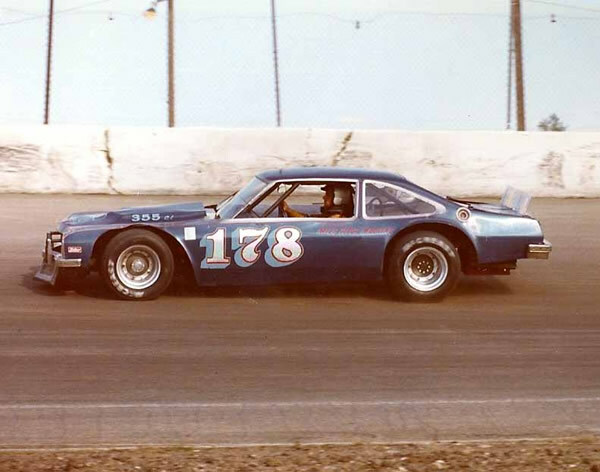 He won a late model championship at Lakeside Speedway in 1970, as well as a late model championship at Colorado National Speedway the same year. 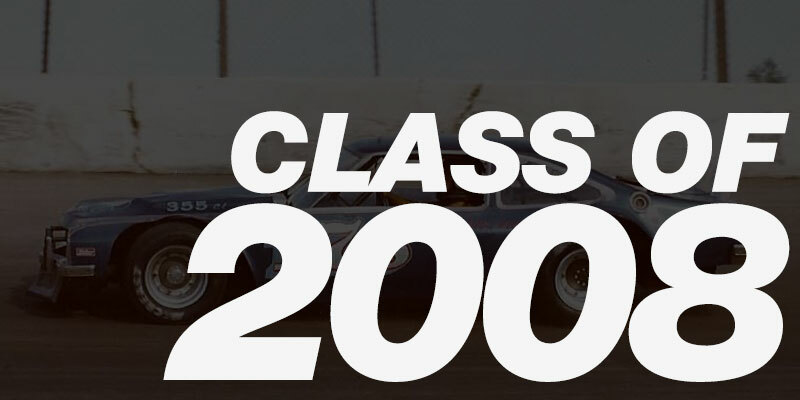 In 1971 and 1972, he won the late model championships at Century 21 Speedway and in 1974 won another late model title at Colorado National Speedway. He was late model champion at Englewood Speedway in 1979 and 1981, and then took another late model championship at Colorado National Speedway. Dechant also served as president of the Rocky Mountain Stock Car Association from 1964 to 1966. It was during this period that he was involved in bringing figure eight racing to Englewood Speedway. Over his career, he was concerned about driver safety and pushed for rule changes for full-faced helmets, mandatory driver suits, fuel cells and pit fire extinguishers. One of the highlights of his career came in 1985 when he won the Southwest Dirt Track Championship in Amarillo, Texas. Larry Dechant passed away in 1986. Roger Mauro was a Colorado native and highly respected auto dealer. He became interested in auto racing after his brother, Johnny, finished eighth in the 1948 Indianapolis 500. 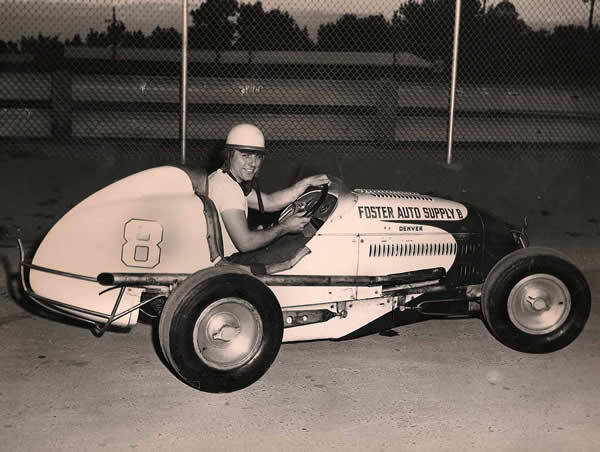 He purchased his first midget race car in 1970, which driver, Dave Strickland, raced to third place in the United States Auto Club National Championship Auto Racing Series. In 1973, his car won the Rocky Mountain Midget Auto Racing Championship, which was the beginning of winning four straight championships in the RMMA Series, with Dave Strickland behind the wheel of three of the championships and Steve Troxell behind the wheel for one. 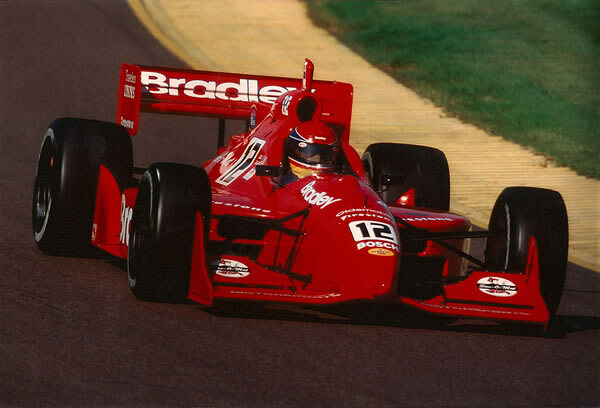 In 1986, Mauro teamed with Frank Peterson, to field a car that Dave Strickland, Jr. drove to yet another championship. As a promoter, he brought USAC National Midget Auto Racing to Denver and the Roger Mauro Mile High Classic became a nationally recognized midget auto racing event.